125mm-(4.92") Cup Head with (12) Slots for the vertical sanding on a CNC. 180mm-(5.90") Cup Head with (24) Slots for the vertical sanding on a CNC. 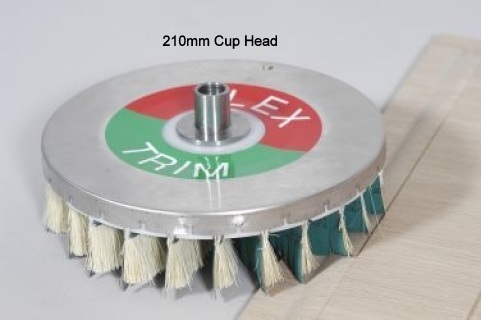 210mm-(8.26") Cup Head with (36) Slots for the vertical sanding on a CNC.